عندما تزور بريسبان, ستشعر أنك في بيتك في Central Cosmo Apartments الذي يقدم لك إقامة متميزة و خدمات عظيمة. يسهل الوصول إلى هذا الفندق ذو 4 نجوم من المطار، فهو يبعد عنه مسافة 20. Km فقط. إن سهولة الوصول من الفندق إلى المعالم السياحية الشهيرة الكثيرة في المدينة كمثل روود بارك, منتزه ميلتون, كاستل ماين ايكس ايكس ايكس ايكس هو استثنائي بحد ذاته. يعمل Central Cosmo Apartments على ضمان إقامة مريحة لضيوفه من خلال خدماته الممتازة وحسن ضيافته. يمكن للنزلاء الاستمتاع بالميزات التالية: واي فاي مجاني في جميع الغرف, مجهز لذوي الإحتياجات الخاصة, مرافق مخصصة لذوي الاحتياجات الخاصة, تخزين الأمتعة, واي فاي في المناطق العامة أثناء إقامتهم في هذا المكان الرائع. ادخل إلى واحدة من الغرف 73 وتخلص من عناء نهار طويل بمساعدة مجموعة كبيرة من الخدمات كمثل تلفزيون بشاشة مسطحة, اتصال لاسلكي بالإنترنت, اتصال لاسلكي بشبكة الإنترنت (مجاني), غرف لغير المدخنين, مكيف هواء الموجودة في بعض الغرف. إن مركز للياقة البدنية, ساونا, حديقة هو المكان الأمثل في الفندق للاسترخاء وتفريغ طاقتك بعد نهار طويل. 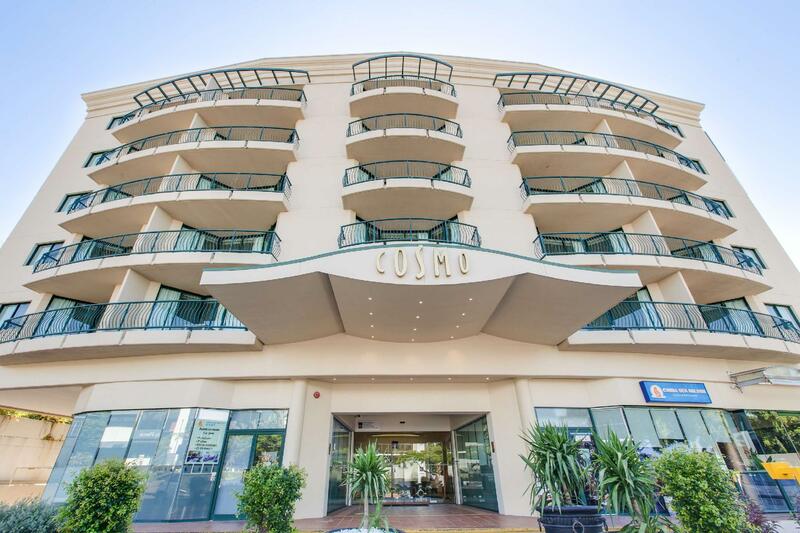 مهما كانت دواعي سفرك فإن Central Cosmo Apartments هو خيار ممتاز لإقامتك في بريسبان. يستطيع النزلاء استخدام الواي فاي المجاني بحد أقصى 200 ميجا بايت في اليوم. لن تكون خدمة التنظيف اليومية متوفرة للإقامة لمدة يومين أو أكثر ليال خلال عطلة نهاية الأسبوع (الجمعة والأحد). لا تتوفر خدمة التنظيف في عطلة نهاية الأسبوع أو للإقامات التي تكون لليلتين أو ثلاثة أو خمسة أو سبعة ليالٍ. ويمكن ترتيب خدمة التنظيف الإضافية قبل الساعة 01:00 ظهرًا مقابل رسم إضافي قدره 25 دولار أسترالي. Great location handy to restaurants and shops and to City Cat river ferry into the city or to University of Queensland. 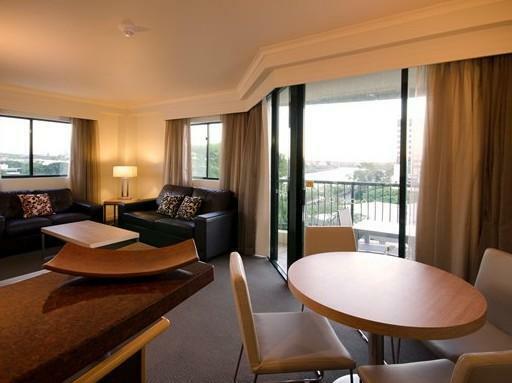 I stay here most times I come to Brisbane as rooms are spacious with kitchenette, laundry and balcony and there is parking for a reasonable charge underneath. We love the location - shower over a bath and no safety rail very dangerous for us older travellers. 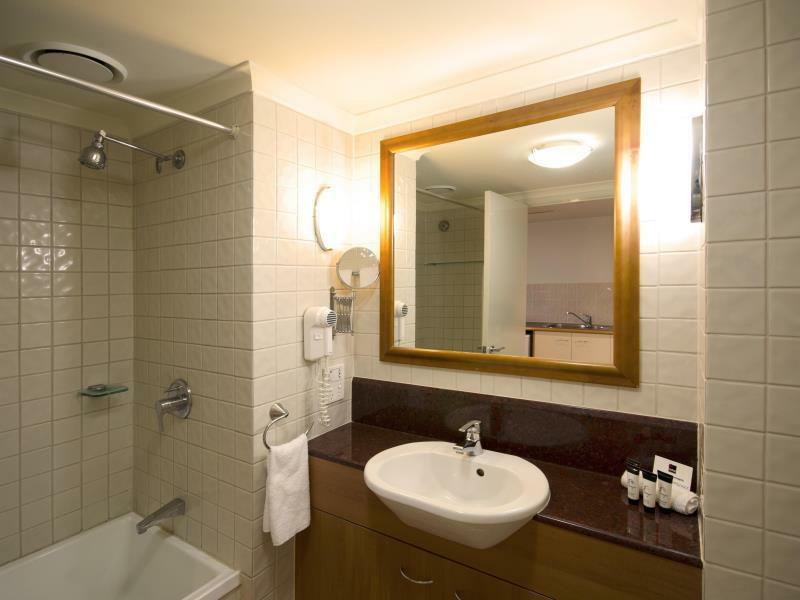 Rooms are immaculately clean and roomy. Close to all attractions e.g. Suncorp Stadium, short river cat ride to Southbank for market or Queen Street Mall. A must stay, will definitely be back. Apartment was roomy and very comfortable. Bed was excellent. An easy 20 minute drive from the airport. Close to the city with Citycat pier 50m. Lots of places to eat nearby. 8 min walk to supermarket. Cycle and walkway along river. Undercover carpark was useful and after hours book in was simple. 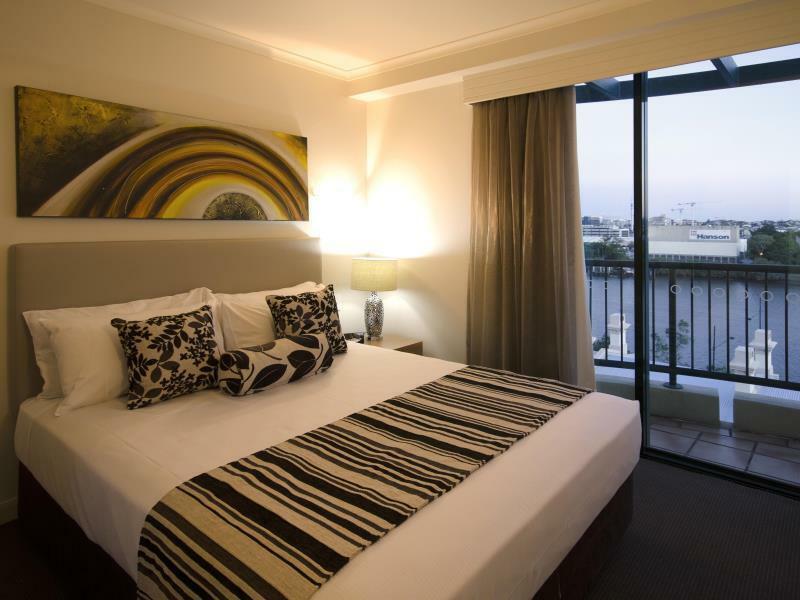 Location is perfect, close to eateries, the city sites and so close to the CityCat ferry. Our room was at the back with some views over the river. The apartment was clean and had the basics we needed for our three day stay. We found our bed comfortable. The only cons would be the poor lighting in our bathroom - this made it a bit dark for putting on makeup. One bulb was blown in the light fixture over the mirror and even having the ceiling light on didn't improve it much. We ended up taking the ceiling light cover off. This may not bother others. Also there wasn't a coffee plunger. Other places we've stayed at have had one. We didn't find these deal breakers and we would stay there again. stayed with my wife for 2 X 3 day periods in Nov 2017 on holiday. likes - walk to the river cat (across the road ! 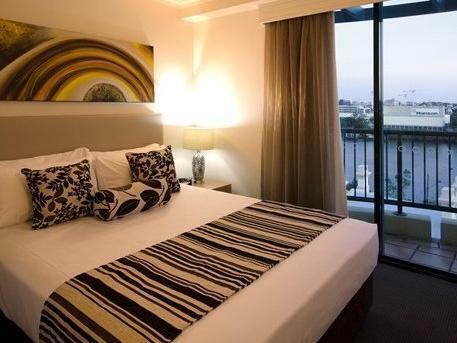 ), walk to Suncorp Stadium (5mins), walk to South Bank (1.5km), walk to café strip, walk to IGA, underground parking with lift, close to freeway entry exit, great kitchens, ask for room with a view across the river & see the city skyscape at night, really clean, modern TVs with USB & HDMI plugs (watch your own movies), full sized fridges/freezer, hotplates & oven, own washing machine, dryer & ironing boards, hairdryer etc dislikes - it's not brand new but it's really well priced value. - doesn't have a pool but you can go to Sth Bank pool for nicks. recommended for couples, families, people going to watch sport at Suncorp. Went there to watch a rugby game at the suncorp stadium. Was conveniently located. After the game (it was quite late), I noticed they forgot to take the rubbish from the bathroom which I assume came from the last customer. great for a night out in the city to see Riverfire with the kids. One of the last hotels that didn't over charge on this night. Easy access to the river and walk over to Southbank. Lots of restaurants around Park Road. Have stayed at Cosmo Milton once before which is why I chose to stay there again. So handy to take the train or CitiCat to the city only 2 stops away. Milton is a lovely area with plenty of cafes, Cosmo has very comfortable and well equipped apartments, quiet location..everything I need on hand. Central Cosmo needs to keep up with the times and provides unlimited highspeed internet access instead of 200MB at a relatively slow speed to its guests. Everything else is fine. Stayed for 2 nights as we were attending sports tournament at Suncorp stadium. Nice big room for a studio. Lots of cafes and restaurants nearby. Short walk to ferry and Suncorp stadium. Lovely staff. The room was good and the location is great. Unfortunately there was a leak in the ceiling above our bed and bits of plaster and water drops were falling on us in the night, we didn't get much sleep. We advised the reception of this and they said that the manager would contact us but they have not. Great location with lots of restaurants around on Park Road and the Milton train station just minutes away. Friendly staff and comfortable bed. Everything was fine and nothing to complain about. Good place to stay and a good choice of restaurants nearby.